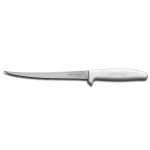 The Dexter S133N-7PCP Sani-Safe® fillet knife is ideal for processing crappie, bluegill, and other small fish thanks to the handing and control created by the 7-inch blade length. Since the blade is thin, it can slide between the fish’s skin and top layer of meat for a clean cut. Flex points in the blade allow bending while filleting without losing its shape. Made of DEXSTEEL™ high-carbon steel, the Dexter S133N-7PCP Sani-Safe fillet knife has a blade that is resistant to staining and strong. 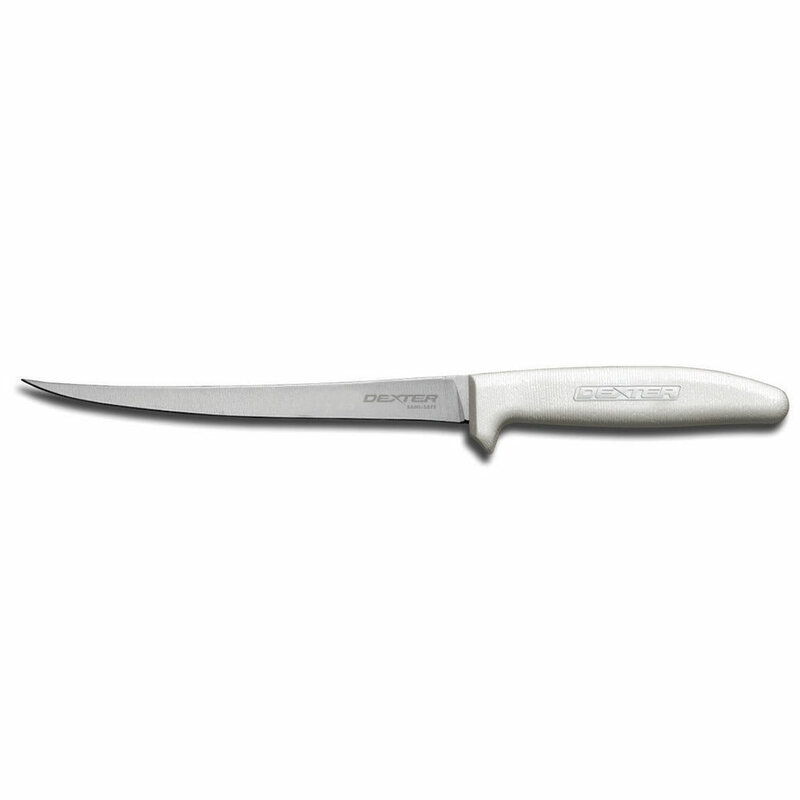 The white polypropylene handle is textured to reduce the risk of slipping and create a secure grip.